Life on the margins of the state is not a dark, static and silent world. It is, in fact, a radiant world, involving multiple processes of reenactment of life, lifeways and individual–community relations. 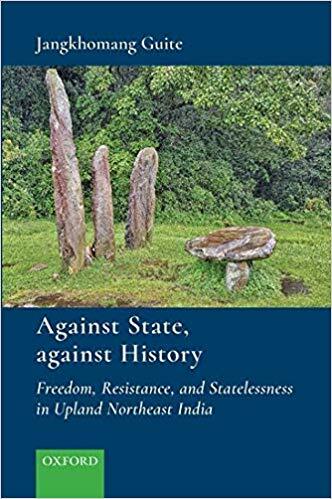 This book is a radical re-evaluation of the dominant civilizational narratives on the ‘tribes’ that normally demonize them as a ‘nuisance’ to the ‘civilized’ Northeast India. The book delves into the migration history and the conditions in Northeast India in which sections of the valley population escaped to the hills against the state. It explores how in this physical dispersion to the highland terrain, they choose an independent village polity, defended by trained warriors, fortressed at the top of hills, connected by repulsive pathways, following the jhum economy and adopting pliable social, cultural, ethnic and gender formations. This condition of the society is understood as one of statelessness’ or ‘unstate’, the process involving disowning the state and becoming an egalitarian society where freedom of individuals is located at the core of their cultural collective.